Track Switch Heaters – Spectrum, Inc.
24-hour shipping on standard sizes. Track Switch Heaters are in stock. Our leading edge, high quality flat rail heater is the new standard of railroad track switch heating. 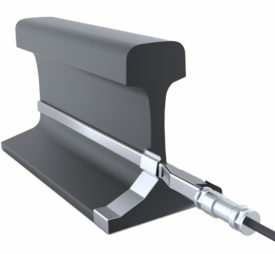 Its flat profile gives you greater contact with the rail, and therefore thermal transfer is significantly improved over the round rod technology. 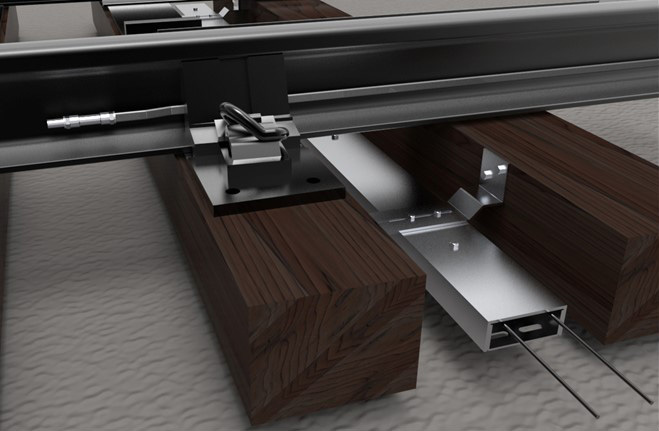 Flat Profile Design– 570% greater contact to rail surface. Heat Output– Available in 300 w/ft and 500 w/ft by request. Industry Leading Lengths– Up to 34 feet with NO SPLICE. Maximum Moisture Resistance– Chemically treated Magnesium oxide. Single Ended Termination– Quick and easy installation. 24-Hour Shipping on Standard Sizes– 8ft., 16ft., 18ft., 26ft. and 34ft., in 240 and 480 Volts. Additional Lengths– Also available in 14.5ft. in 480V. Easy Installation– No special tools required, snaps onto base of rail with simple hand pressure or hammer. Typically installed on the outside of the rail. Safety First– Greatly reduces the possibility of a pinch point and flying metal. Installation– Typically installed on the inside of the rail when solid braces prevent the installation on the outside of the rail or if the preference is to install the flat-jacket snow melter on the inside. Clip can also be welded on. Crib heaters are designed to sit between the ties and keep the switch machine control rods or push rods free of ice and snow. Our heater has a low profile making it easy to install and remove, and its water-tight seal ensures proper operation in ice and snow. Other Lengths: 10ft. and custom by request. 2,400W (8ft.) and 3,000W (10ft.). 24-Hour shipping of standard size. New Design: 1” wider than previous version. Standard: 2 Brackets per crib heater. Secures the crib heater in place. New Design for use with element only. Standard: 2 brackets per element. Optional: 3 brackets per element.